7-3-09 Aunt Becky turned 90 on June 17 and is sprinting toward 95 &amp; 100! 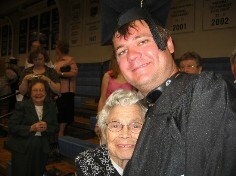 Home >> Article Index » Articles » Special Subjects » 7-3-09 Aunt Becky turned 90 on June 17 and is sprinting toward 95 &amp; 100! After decades of physically caring for Connie, Aunt Becky is in excellent physical health with lots of stamina. Younger friends and relatives have difficulty keeping pace with Becky at Relay for Life events, shopping malls etc. 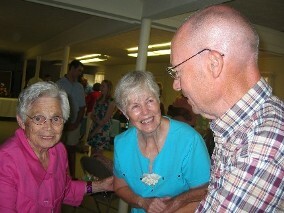 Aunt Becky turned 90 on June 17 and is sprinting toward 95 & 100! 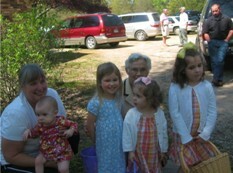 Rebecca D. Barnette is known as Aunt Becky to numerous nieces, nephews, grands etc and as ‘Becky’ to countless friends. 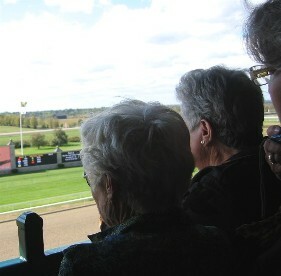 She recently turned 90 and is still going strong. She has a garden, likes to cook and likes to go….She stays busy with home activities, church and relatives. 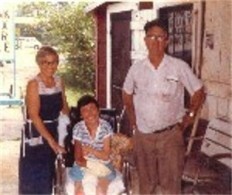 Senor Rebecca Dawson (Becky & Aunt Becky) was born on June 17, 1919, at the Daniell-Dawson Homeplace on Cliff Dawson Road in Oconee County, Georgia. Becky was the seventh child of Cliff and Hassie Daniell Dawson. 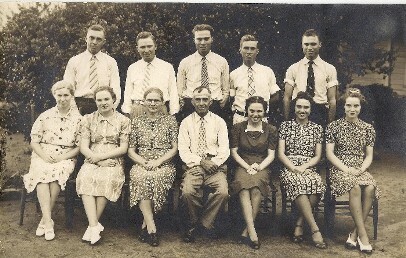 Becky graduated from Watkinsville OCHS in 1936 and married James Milton Barnette on December 28, 1939. They had one child, Connie Rebecca Barnette, who was born on August 19, 1941. Milton died suddenly with a heart attack on December 26, 1950, leaving Becky to raise and care for Connie. 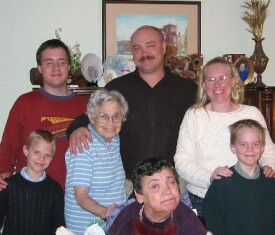 Connie was a Special Child who required constant care for the rest of her life until her death on March 26, 2006. 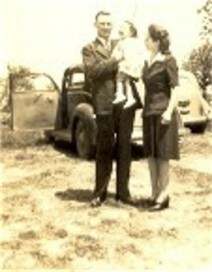 Milton, Becky and Connie Ca 1944 (Becky was wearing a red dress). 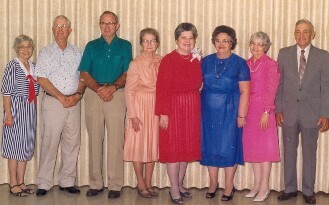 Aunt Becky and Connie were active in Union Christian Church along with other Dawson Family members. 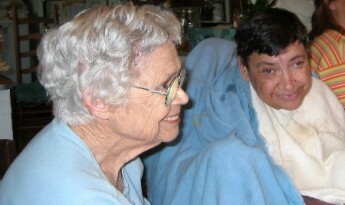 Connie, with the aid of a wheelchair, attended many events in her life and was widely known in the Oconee County, Georgia area. 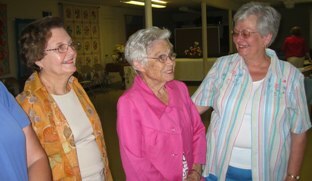 They participated in the Union Church annual barbecues and attended weekday events at Union on a regular basis. 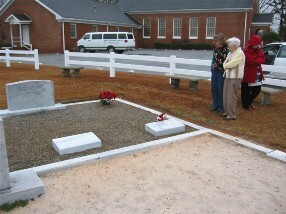 The ‘loves’ of Becky’s life, Connie and Milton Barnette, are buried at Union Church Cemetery as well as Becky’s parents and several siblings. Becky grew up on a farm as did the other Dawson siblings. She hoed and picked cotton and learned how to tend a garden, “put up meat”, Caning foods and later freezing food. Becky became an excellent cook and loved to do deserts with strawberries, apples, pears, blackberries etc. Becky can bake a ‘mean pecan pie’ and has made many. She made a lot of birthday cakes over the years. For years she was the seamstress that ‘cuffed’ new pants for our family. She also made an annual fruit cake that was a family delicacy. 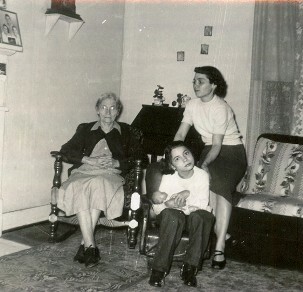 Aunt Becky and Uncle Milton moved into the house with Mama Hassie after Daddy Cliff died on May 19, 1949. After Milton died Dec 26, 1950, Uncle Josiah Daniell (Boss Joe), a bachelor, moved into the home house with Mama Hassie, Becky and Connie. In April, 1954, Mama Hassie, Aunt Becky, Connie and Boss Joe moved into a new house, where Becky still resides, at 1761 Cliff Dawson Road, Watkinsville, Georgia. (Rayford and his family moved into the home house). 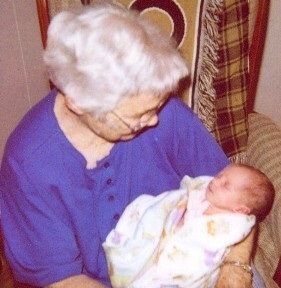 Mama Hassie died on March 8, 1955, after a long bout with leukemia. Boss Joe died on February 8, 1957, after a fall in the yard at the residence. For a while, my brothers and I, as teenagers, would take turns sleeping at Aunt Becky’s for security and safety purposes. Connie needed to be lifted and tended to constantly. Aunt Becky and Connie (and Bert for 20 years) attended many weddings, showers, funerals, birthday parties, reunions and birthday parties over the decades. 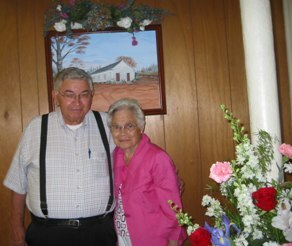 They were part of a ‘caravan’ from here who went to Lexington, KY, in June 2003 to celebrate Roberta Dawson Dellinger’s (Bert) 80th Birthday. 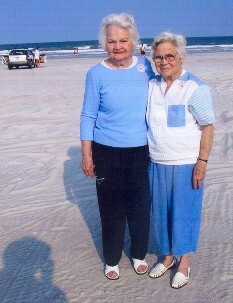 Since Connie’s death, Becky has been to the beach in St Augustine FL and to a relative’s condo at St Simons. 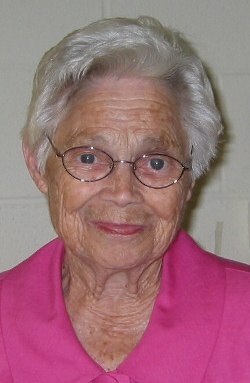 She attended a celebration of Sue Nell Dawson Stewart’s 90th Birthday in April, 2007, at her residence in Gainesville, FL.